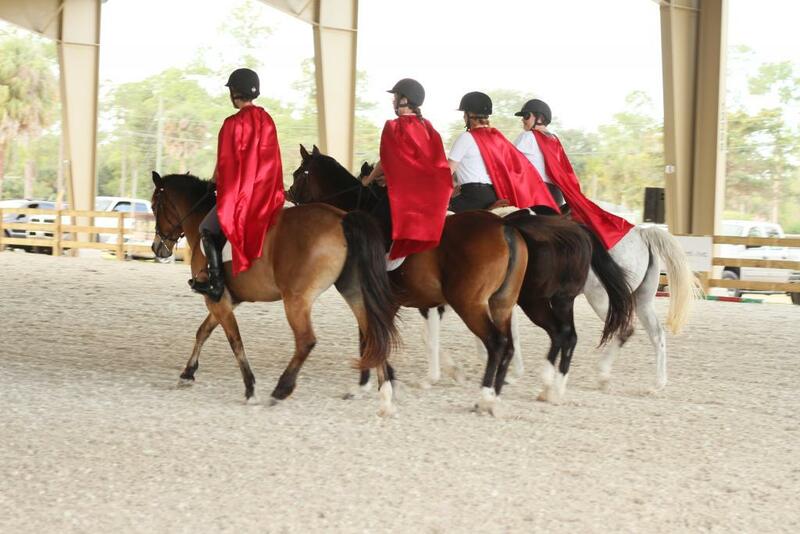 The Drill Team incorporates all of the elements of therapeutic riding while teaching our intermediate and advanced riders, including our volunteers, to work together as a team to achieve a unified goal. Drill Team work focuses on precision, following directions, anticipatory decision making and teamwork. Drill Team members will have the opportunity to showcase their skills at various VTRC events throughout the year, and it is important that all lessons and practices are attended regularly. If you are a VTRC rider or Volunteer who meets the above criteria and would like to be considered for Drill Team, please contact the office at (561) 792-9900.